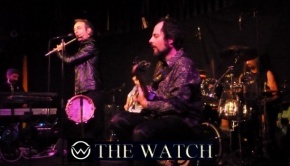 I have been a fan of The Watch, from Milan, Italy, for several years and have reviewed a few of their albums during that time. Seven returns the band to the kind of significant and interesting songs that they wrote for their best album to date, in my opinion, Planet Earth?. There have been some personnel changes since that album with first Stefano Catrucci and now Mattia Rossetti joining as bassist alongside drummer Marco Fabbri, guitarist Giorgio Gabriel, keyboardist Valerio De Vittorio and the sole remaining founder member, singer Simone Rossetti. 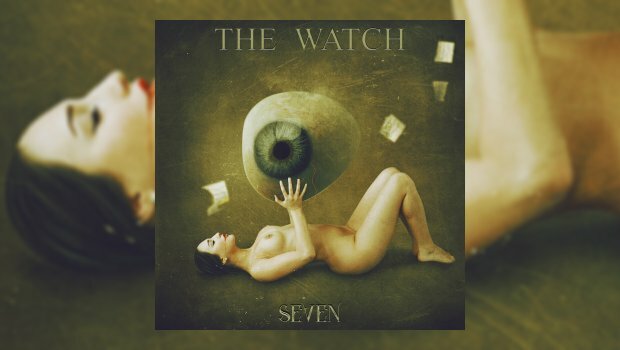 Seven also features the imposing presence of Steve Hackett, who contributes 12-string acoustic guitar to the track The Hermit, a wonderful surprise. The cover art by Lana Tustich continues the band’s unique signature style. Every track on this album is a keeper. The bold synthesizer, organ and Mellotron magic which sets this band apart from many others in the genre is present throughout, and the lyrics have improved considerably from the last album, although I did not get a copy of the words with my digital download they sound much deeper and tell some incredibly complex stories. Blackest Deeds opens the album with a deep, dark, almost IQ sound from guitars and keys, powerful and magical at the same time. Simone’s vocal delivery, always comparable to Peter Gabriel, for me the greatest singer in prog history, is back to full form, but it is the guitar and keyboards which absolutely set this album apart from the last. Simone’s flute also plays a more important role here than on the last album. The keyboard and guitar solo instrumentals are excellent and comparable to some of the best from Planet Earth?. I don’t want to prejudice any of the tracks, so I will let you search and find the similarities. Disappearing Act is one of my favorite tracks on the album. It is dark at times, the music I mean but the lyrics are too. The melodies and vocal harmonies are perfect, helping to set this album apart. Once they get to the instrumental section, you are guaranteed a wonderful return to the best music of prog’s golden era. Masks has such a brilliant and cool keyboard opening. Then, Simone sings, “Here I am, behind the facade. I am the one under the mask”. The golden organs and synthesizers with strings backing them are eye opening. It takes me right back to Foxtrot. The slicing lead guitar riffs are also reminiscent of early Hackett. Copycat opens with the perfect solo vocal from Simone, with soft synthesizers accompanying. Power drums, percussion and electric guitars join in the chase and the tempo speeds, then a flute solo, again with synthesizer accompaniment. The keyboards and electric guitar work are some of the best on the album. “And the time went by, on that green field. And I didn’t realize, I was wrapped in silk. “And those days are gone. “And at that time searching for my hands. Yes, a melancholy wish to bring those days back. The music matches the feeling in the powerful lyrics. Tightrope is another reminder of the classic prog from the Foxtrot and Nursery Cryme eras. Sit back and enjoy hearing the instrumentation take you back, as if time has stood still. No other band today can match this talent, and The Watch deserve thanks for keeping this type of music alive with new sounds and stories. Simone’s flute and the accompanying keyboards will make your memories drift back to when bands spent time honing their craft and making music that would last for generations. The Hermit is the prize worth waiting for with Steve Hackett on acoustic 12-string, but before we get there Simone sings, playing piano and flute to create a wonderful opening. Steve’s solo is amazing, as always, like it used to be, his guitar with Gabriel–like vocals and those proud keyboards, drums and bass. After the Blast sounds like it was written for Wind and Wuthering or Trick of the Tail. Classic progressive guitar chords mixed well with flute and keyboards. For me there is no more Genesis. If Phil, Tony and Mike get back together, it is more of a Phil Collins backing band. I would rather hear The Watch now…or Peter Gabriel, if he ever releases his much-promised album. I am primarily a Peter Gabriel-era Genesis fan, Seven and The Watch’s music taking me back whilst bringing me forward. This album and the Fleet Foxes’ new one are currently my favorites of 2017. Inspiring music, which keeps me faithful that true classic prog will endure…forever.